There is a lot of talk in today's day and age about philanthropy and each of us doing our part to help change the world. After all, without altruism and concern for human welfare, how is our society ever going to better itself? Therefore, even though there are a lot of words tossed around about making a difference, I absolutely LOVE when a company stands up and does just that. Because just simply providing products to consumers isn't enough when you can spread your generosity to help those that need it. 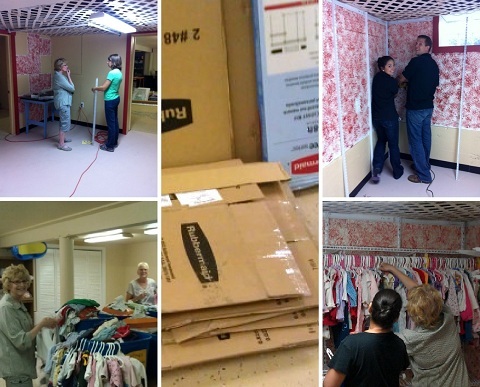 Which is why I couldn't have been more moved to hear that Rubbermaid launched a Give the Gift of Organization contest earlier this year to provide a $5,000 organization makeover to an individual or organization that needed it. While there were many wonderful and deserving applicants, the winning entry came from Mary's Room, right here in St.Paul's Episcopal Church in Watertown, Wisconsin. 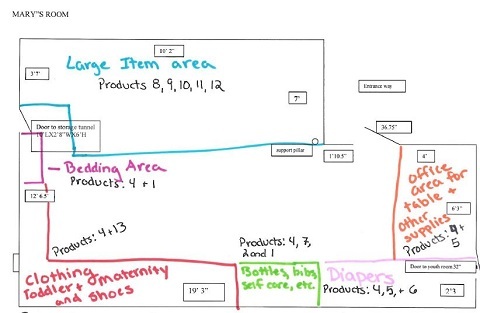 This non-profit provides baby supplies, such as diapers, wipes, bottles, baby furniture and clothing, to families in need. It brings tears to my eyes that Mary's Room has helped everyone from women with infants who have found themselves homeless to battered women who had no where else to turn for supplies to grandmas who were literally left holding the baby. So now that this inspiring organization has grown and is continually receiving donations and gifts, they're desperately in need of some organization to help get things in order and make it easier to continue helping people. Thanks to Rubbermaid, that dream is coming true for Mary's Room. 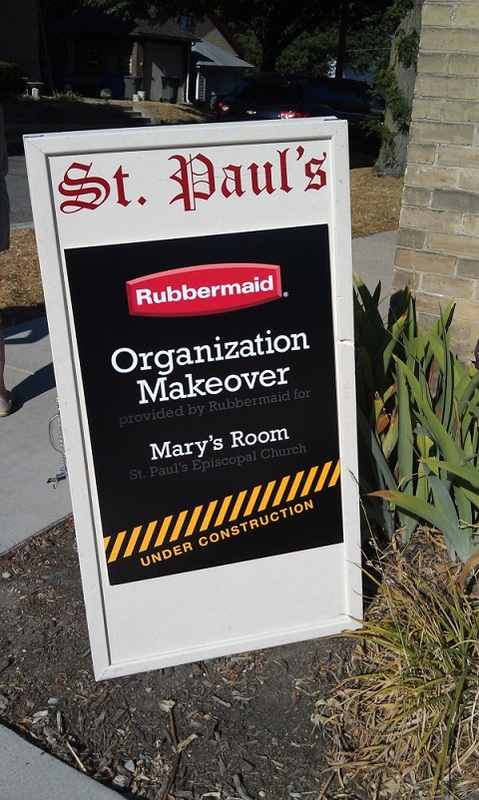 Along with professional organizer Jill Annis (from Simply Organized, LLC), a team from Rubbermaid is conducting the $5,000 organizational makeover right now! ... and I'm completely confidant that the finished look will be amazing. After all, it's Rubbermaid! They have a durable, versatile, high quality product for just about every form of organization possible, so I know that they won't disappoint. ...and remember it when I show you the amazing After photos soon! Stay tuned! I am being compensated by Rubbermaid in exchange for help promoting this event, however, all thoughts and opinions are honest and my own. Bravo to Rubbermaid for making that happen! That is great! I can't wait to see after pics. This is great, what a worthy group to have won! Can't wait to see how the finished room looks! WOW! That's so great! I'm happy for them. How nice of Rubbermaid to do that, for people that need some help. Mary's Room looks amazing. Thank you to Rubbermaid for asking me to participate in this makeover.